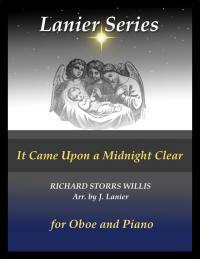 While Shepherds Watched Their Flocks at Night is originally scored for Oboe or Flute and Piano. An alternate part for the oboe can be played on the English horn. You will also need the piano score. 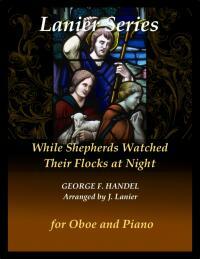 While Shepherds Watched Their Flocks at Night is originally scored for Oboe or Flute and Piano. An alternate part for the oboe can be played on the clarinet. This arrangement is written in a concerto-type style. The well-known melody alternates with a fanfare symbolizing the appearance of the angels announcing the birth of the Christ Child.